• Lupus erythematosus is an autoimmune disease of connective tissue that may be limited to the skin (cutaneous lupus), or the skin findings may indicate systemic disease. • All LE variants are photosensitive, and primary treatment should include education in sun protection and avoidance. Acute cutaneous (ACLE): exemplified by the malar rash, usually associated with systemic disease and positive antinuclear antibodies (Fig. 33-69). Subacute cutaneous (SCLE): characteristic photosensitive papulosquamous annular lesions of the trunk and arms, associated with anti-Ro antibodies (70%); 10% to 15% will have systemic involvement (Fig. 33-70). Discoid (DLE): inflammation involves deeper adnexal structures, with predilection for head and neck; results in scarring; less than 10% have systemic involvement (Fig. 33-71). 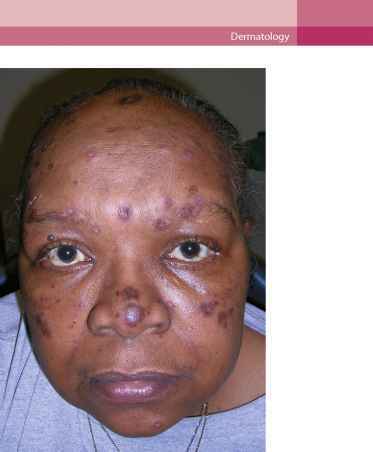 Figure 33-71 Discoid lupus with hyperpigmentation atrophy and scarring. 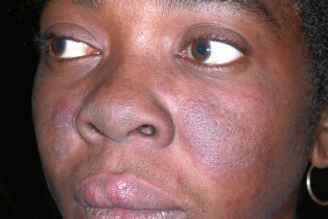 or seborrheic dermatitis, which are not poikilodermatous. 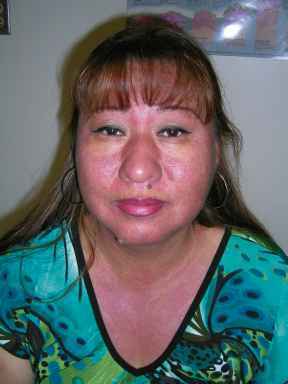 There is sparing of the nasolabial folds and the skin under the nose and upper lip, areas that are shaded from the sun. Lesions of SCLE are very photosensitive and appear as annular, scaly, erythematous patches or papulosquamous rings with central clearing. These usually affect the lateral face (instead of central face), upper chest, arms, and shoulders, areas that are sun exposed. Discoid lesions are somewhat photosensitive but also found on nonexposed skin and mucosal surfaces. Most often these present on the ears, face, and neck and appear as scaly, brightly erythematous to violaceous plaques. Because of the deeper involvement of inflammation, as DLE lesions resolve, they often leave behind hyper- or hypopigmentation, even depigmentation. Severe scarring and disfigurement may also occur. ACLE, or systemic lupus erythematosus (SLE), is more common in women, especially of childbearing age (female/male ratio 6-10:1), suggesting a hormonal factor in susceptibility. The female/male ratio for patients with only cutaneous forms of lupus is much lower (3-4:1 for SCLE; 2:1 for DLE). The prevalence of ACLE/SLE is also fourfold higher in African American women than Caucasian American women, and DLE is slightly more common in African Americans. However, SCLE is more prominent in Caucasians (80%). 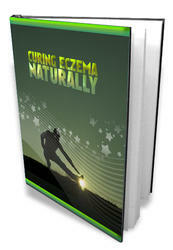 Occasionally, drugs can induce ACLE or SCLE. Procain-amide, hydralazine, isoniazid, quinidine, and phenytoin are most frequently reported for ACLE, whereas hydrochloro-thiazide, calcium channel blockers (diltiazem), angiotensin-converting enzyme (ACE) inhibitors, terbinafine, NSAIDs, griseofulvin, and tumor necrosis factor (TNF) antagonists are most frequently reported for SCLE. Drug-induced ACLE usually fades once the drug is discontinued but may take many months. Drug-induced SCLE may or may not clear with cessation of the drug. For skin lesions of lupus, sun protection and sun avoidance are crucial because all types are photosensitive. Although discoid lesions are not as photosensitive as the other variants, some patients with ACLE, SLE, or SCLE can even be triggered by indoor light. Topical corticosteroids and calcineurin inhibitors (pimecrolimus, tacrolimus) are the mainstay in treatment of skin lesions. If oral medications are required to control skin disease, antimalarials (most often hydroxychloroquine) are first-line therapy.